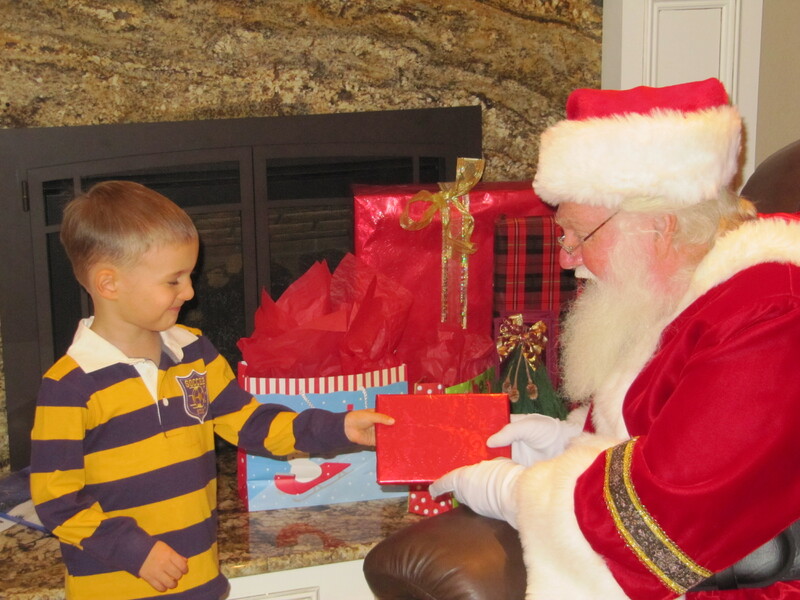 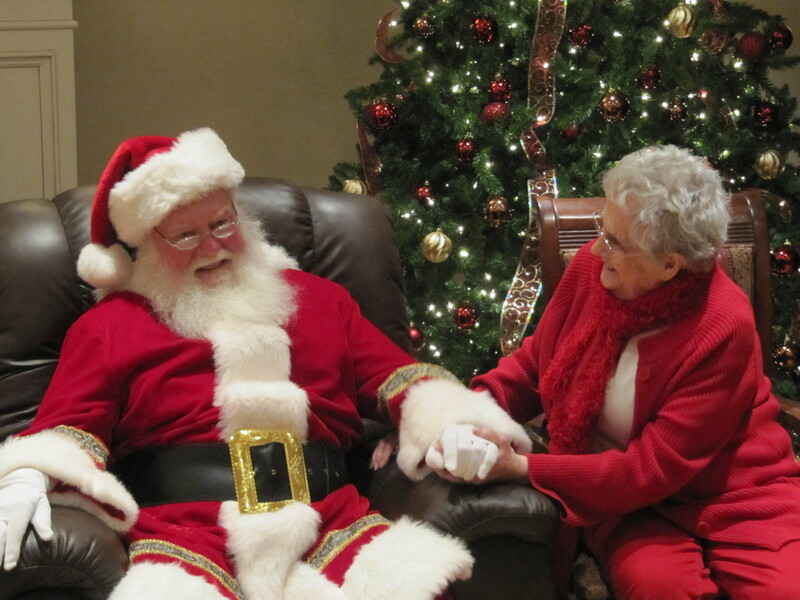 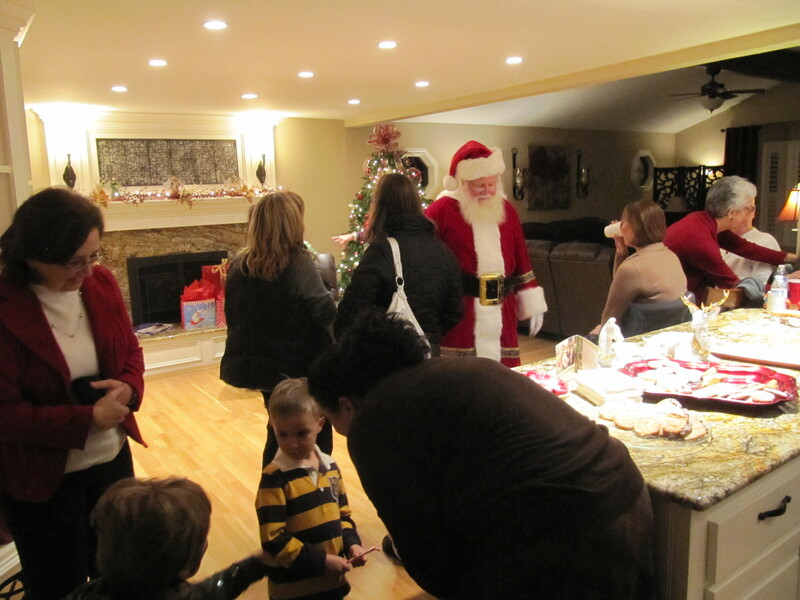 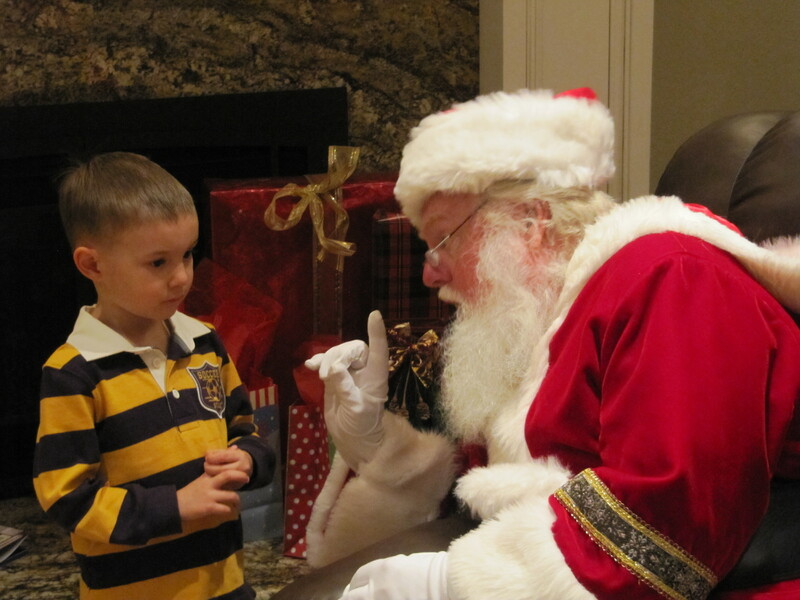 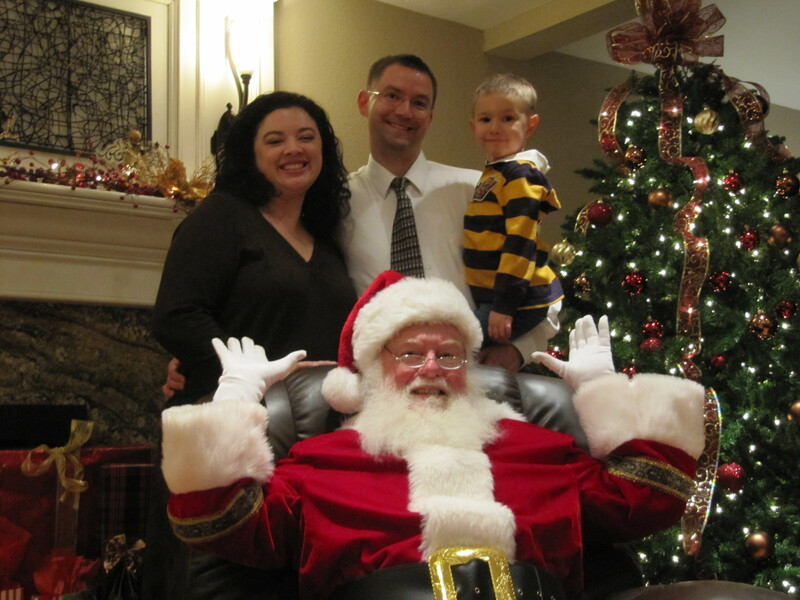 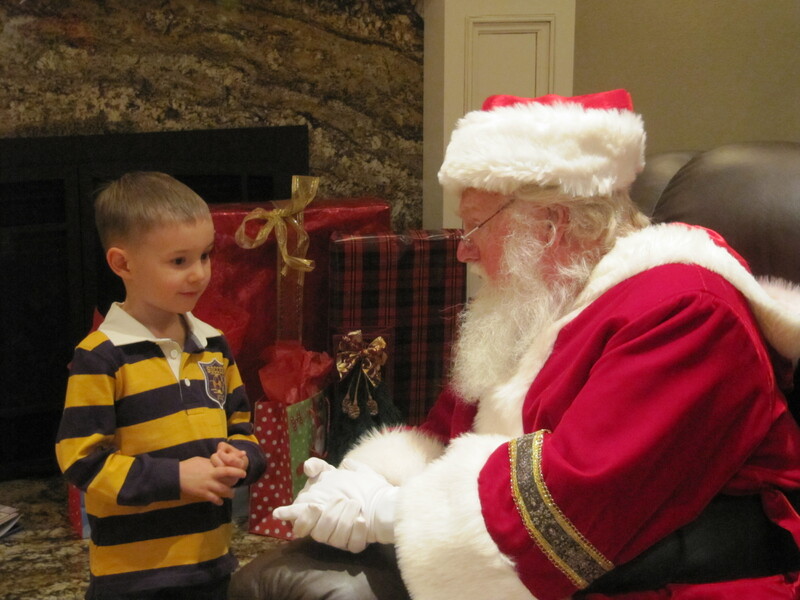 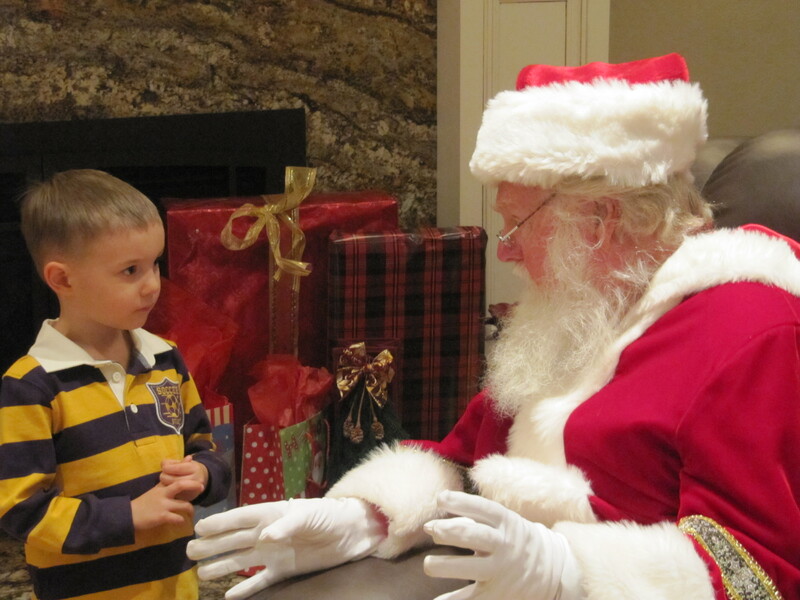 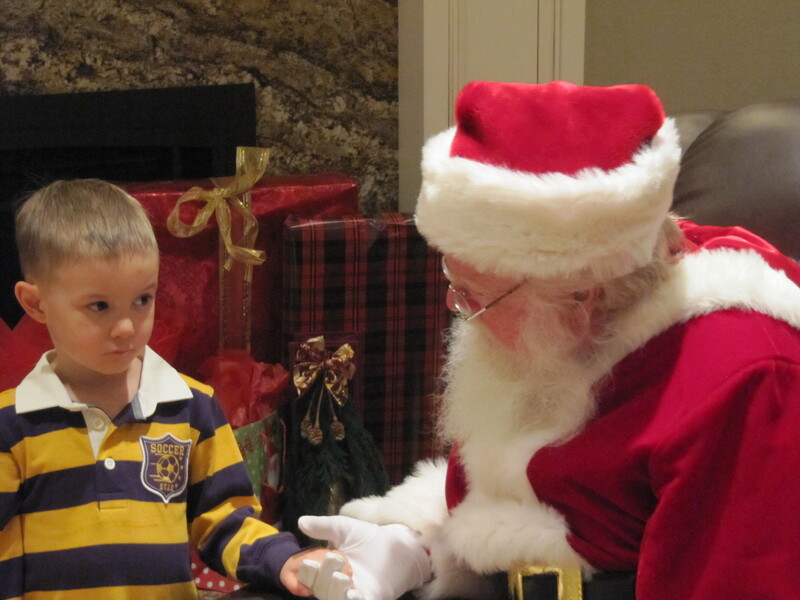 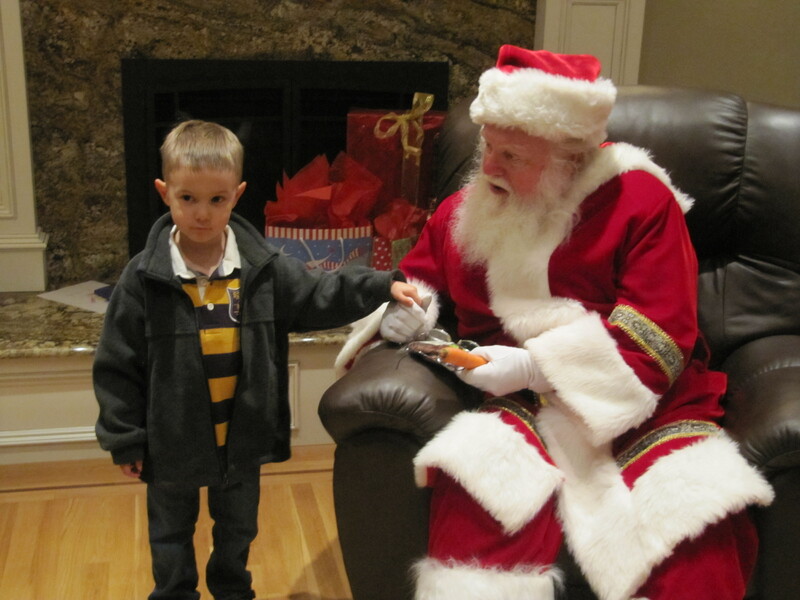 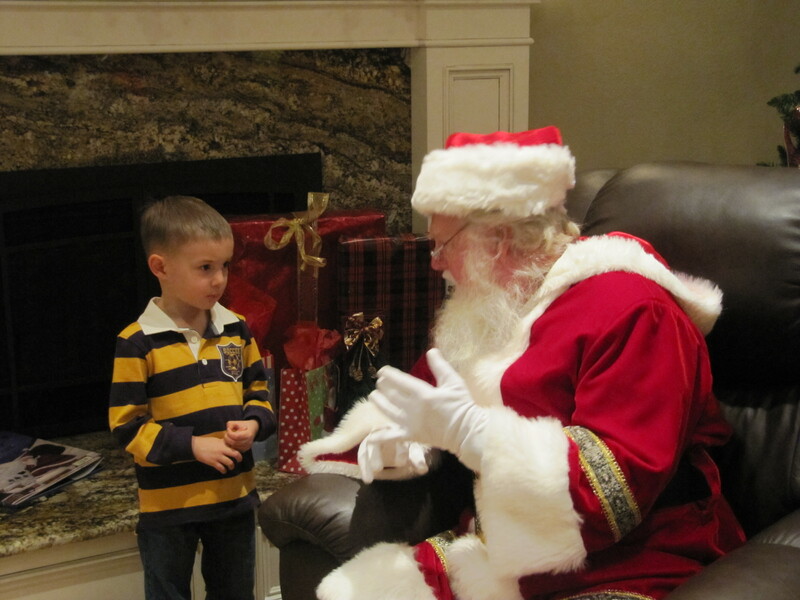 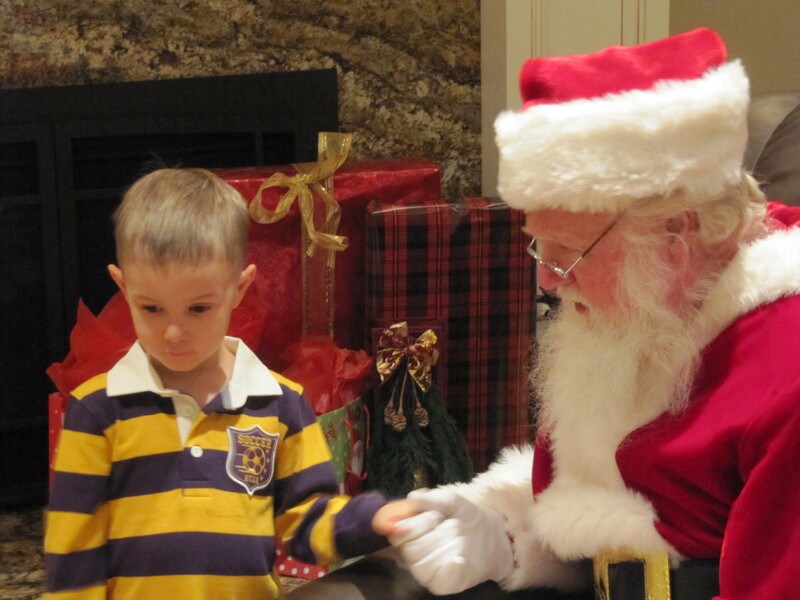 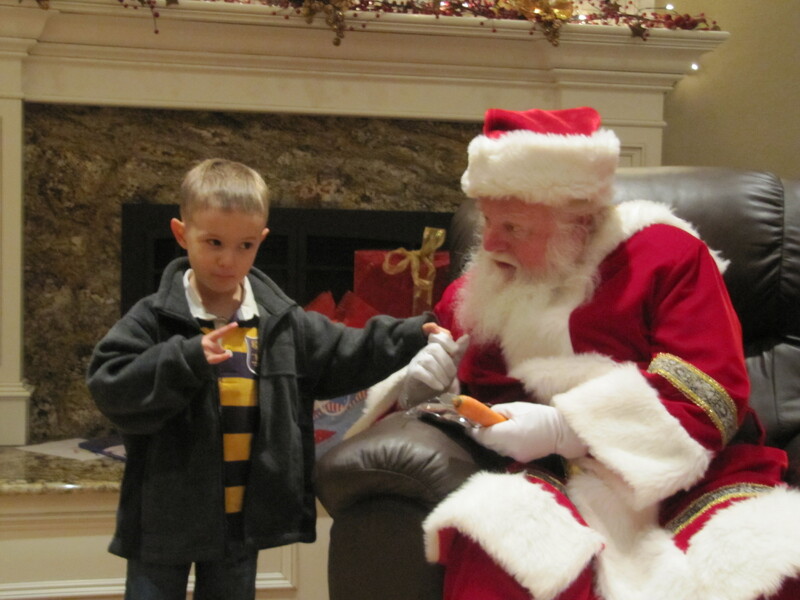 Tyler got the chance to meet Santa up close and personal tonight at a house party. 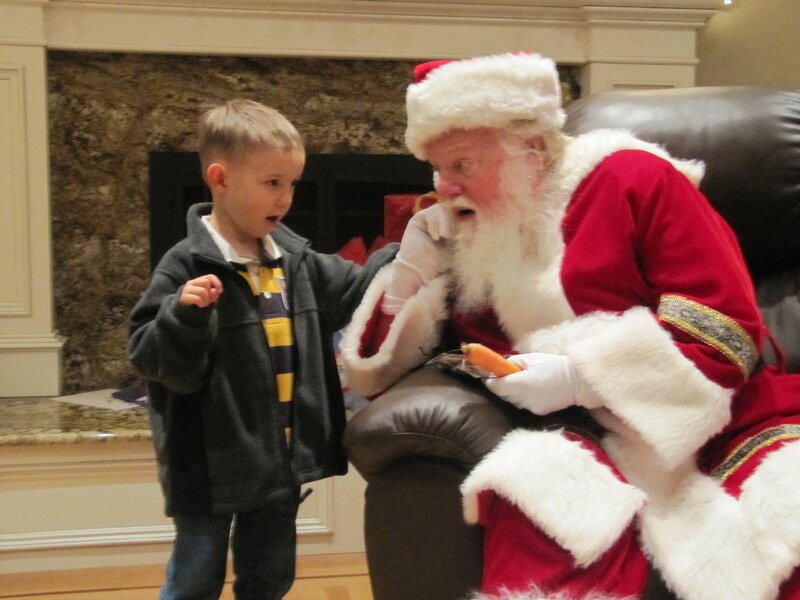 Before we went inside we knocked on the door and Tyler announced that he “had a bad feeling about this”. 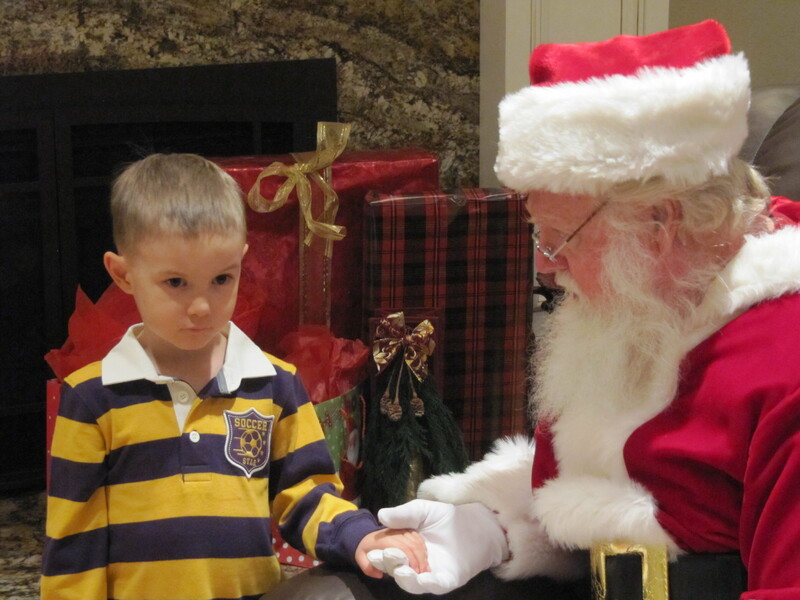 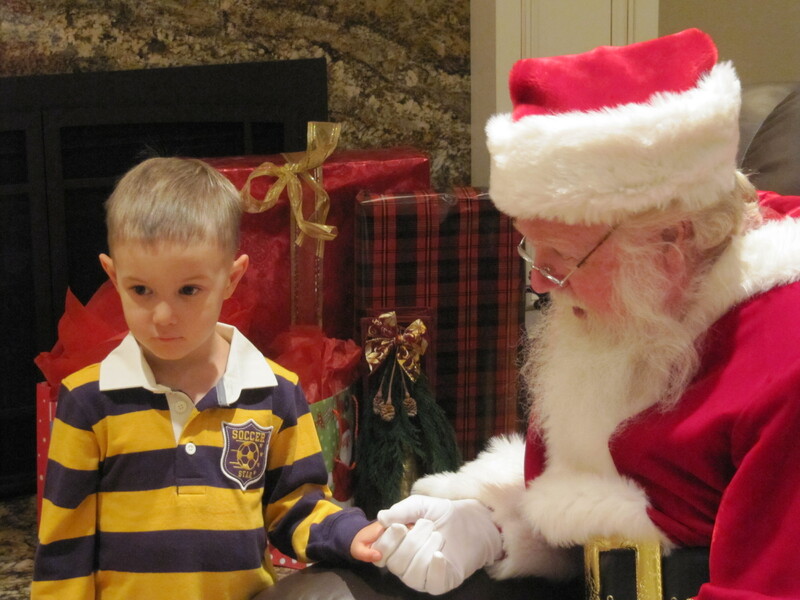 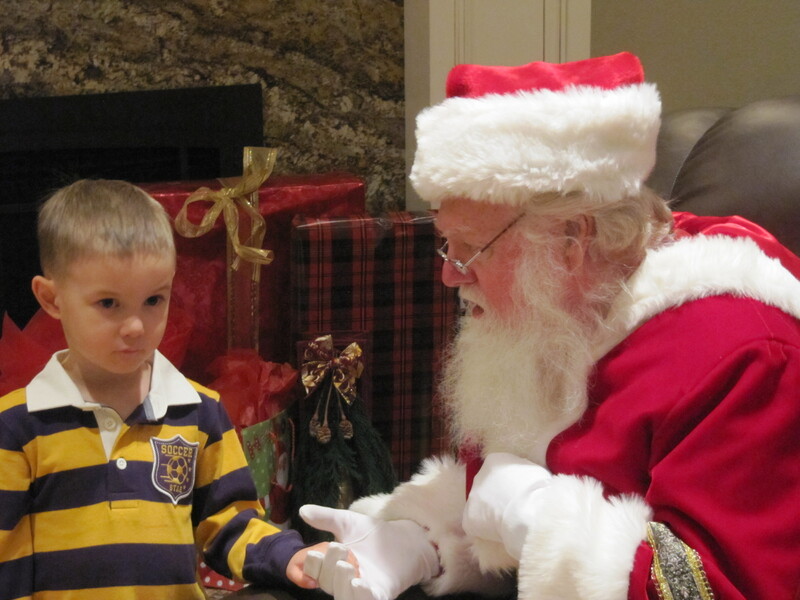 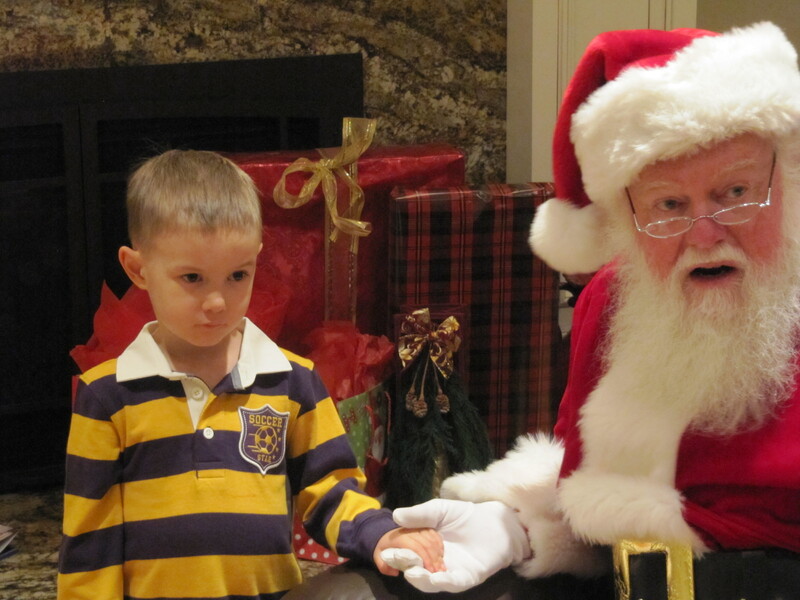 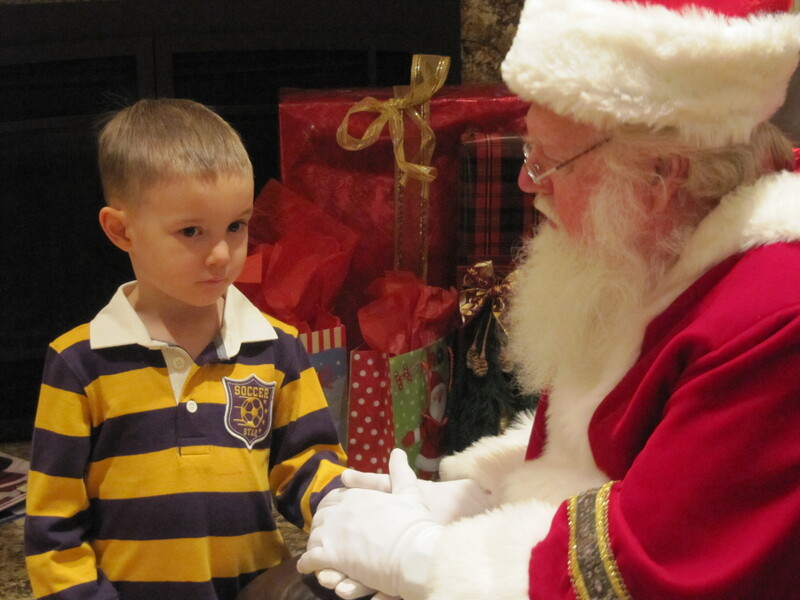 I think he had a better feeling after meeting Santa.